Port Davey and Bathhurst Harbour lie on Tasmania’s wild south west corner. They are part of the UNESCO World Heritage Area. There are no roads into Port Davey. Access is by sea, light plane hiking the south west trail. 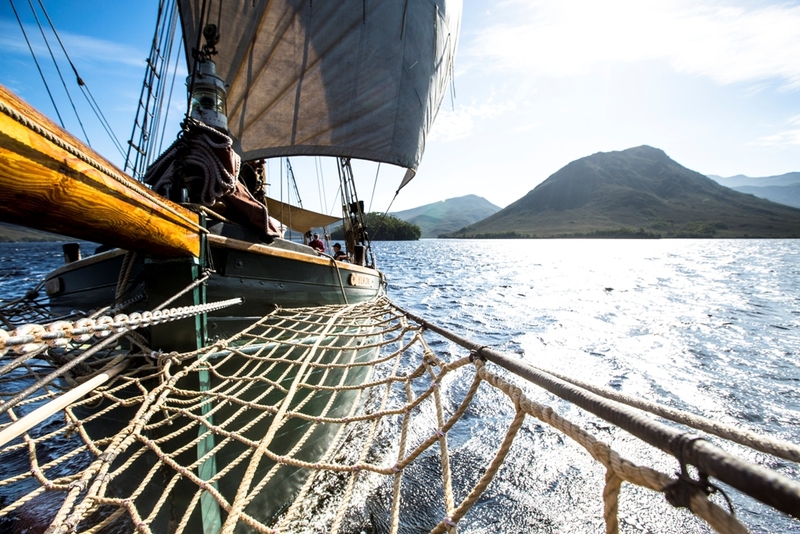 Sail aboard Yukon in the heart of Tasmanian Port Davey. A picturesque voyage at the bottom of the world, this little known paradise of intricate waterways, white beaches and crystalline ridges rising sharply from the Southern Ocean, has captured the imagination of adventurers for centuries. Season 2019 offers 3 days 2 nights on board Yukon in Port Davey. This leaves different options open to travel to and from the vessel, either by foot or by air. dependant) short afternoon walk before dinner. your disembarkation in the afternoon.